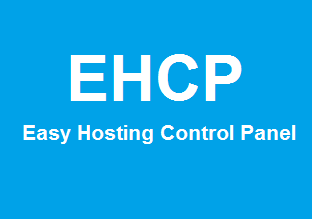 EHCP (Easy Hosting Control Panel) is a control panel, which is completely free and Open Source that means you won’t required to pay anything to use this interface. EHCP control panel contains all the necessary things for hosting domains. Among them are Apache, MySQL, PHP5, Postfix, FTP, etc.. All services will be functioning and operating as soon as you install it on your server. For your information; EHCP is specially oriented for Ubuntu & Debian OS, but cannot install on other Linux OS. However, it is a powerful open source control panel, and simple to install that allows the user to manage services easily. Here you can use ehcp a control panel is easy to use and quite “powerful”, following steps will tell you how to set up ehcp on your VPS server. 1. ehcp need OS Ubuntu or Debian. Here we take an example Ubuntu and I assume you’ve already installed ubuntu on VPS server. 2. Open your Linux console. Login to root by typing sudo bash. 4. After several prompts, you will be asked your name and email, then, you will be asked to password mysql and so on ..
after operating a while, you will see, the installation is complete.